Affordable two story offers three bedrooms, 1 1/2 baths, enclosed front porch with built-ins, and open patio in the fenced rear yard. Updates include flooring, counter tops, and painted interior. Property also has new furnace and hot water heater. Johnson City Elementary Intermediate School Elementary School, High School / Public 3 1.92 mi. Johnson City Elementary Primary School Elementary School / Public N/A 1.92 mi. Johnson City Middle School Middle School / Public 4 1.92 mi. Blessed Sacrament School * Pre-School, Elementary School / Private N/A 0.32 mi. St. James School * Pre-School, Elementary School / Private N/A 1.06 mi. 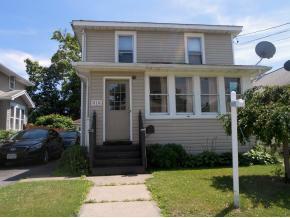 518 Grand Avenue, Johnson City, NY 13790 is a 3 bedroom, 1.5 bath single family home was sold for $50,000.